Are you interested to know how to view and control computer with Android phone or tablet? If yes, then this article is specially written for you. Multi-platform integration is quite critical in today’s technology world. 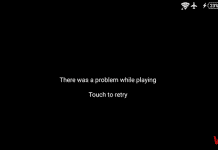 Technology today makes it possible for us to connect essentially any device with the other one, for improved mobility and productivity, or just because we do not wish to leave the sofa to change the tune on YouTube. Everybody wants to control all of the gadgets with the fingertip. There are thousands of apps available on the Internet, which allows you to control Android from computer or vice versa. It could happen which you will need to desperately check on something about a computer, and there is virtually no opportunity to get, or into any office or even somebody else needs desperate assistance with a challenge. Having the ability to “view” and access files on a remote computer is a must, of course, should have owned your laptop or computer, having the ability to remote control a Computer from Android will save your day. If you want to remotely control Computer from Android phone, the Chrome Remote Desktop is the best solution for you. This application has existed for a long time and has been supplying an experience that is solid, arriving with cross platform features for the Windows and Mac users. An online browser running Google-Chrome is naturally the sole condition. When it comes to performance, it is very strong, and you ought to be satisfied. There’s, however, a small delay while a connection is set up, but after that, you should not have any complaints. 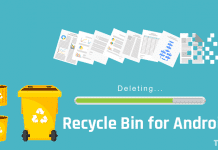 Before jumping to the complete procedure, don’t forget to install the extension and app on your computer and Android respectively. Make sure that you have logged in into the Google Chrome browser with your Google account. In your Android device, log in with the same account details which are used on your computer. If both devices are ready, then the time to install Chrome Remote Desktop extension in Google Chrome Browser and Remote Desktop app for your Android device. After that, you can jump to the setup process. Remote access requires a better network connection for the best result. If you have a slow connection, then it’ll give leisurely displaying results. 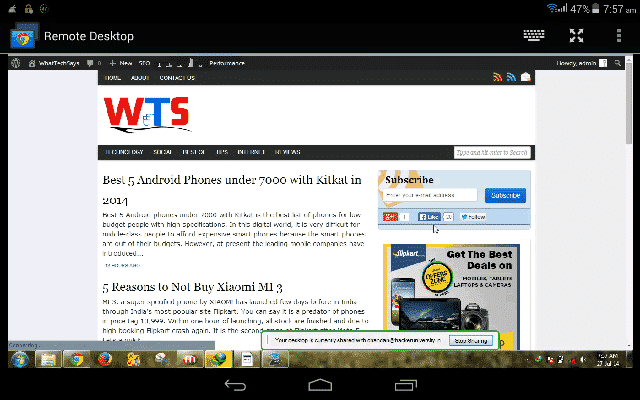 1) Type chrome://apps and hit Enter to open apps section in your Chrome browser and open Chrome Remote desktop app. 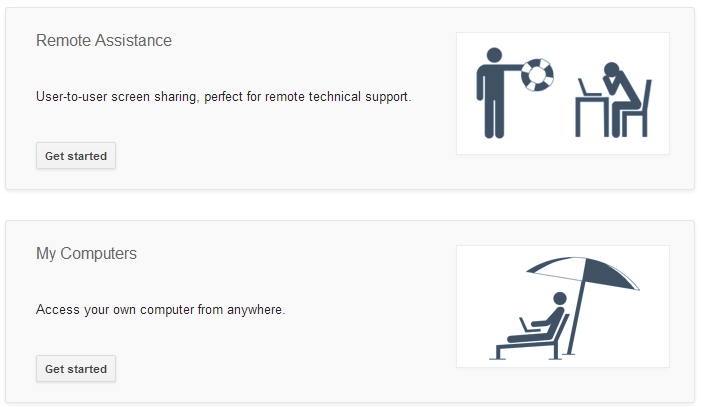 2) Here you’ll see two options; Remote Assistance and My computers. Remote Assistance is used to access another computer from your computer. 3) In My computer’s section click on Get started. 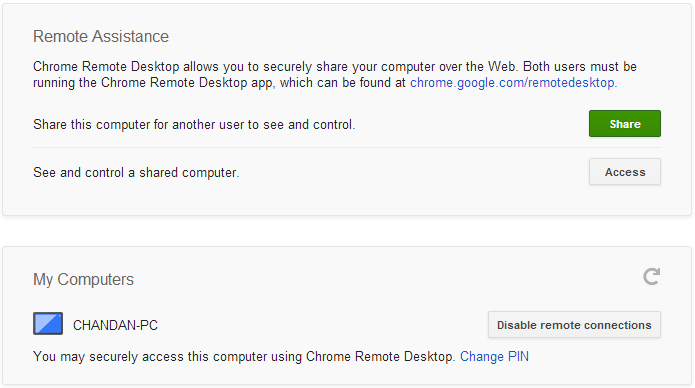 It would ask you to authenticate your Google account with Chrome Remote Desktop. 4) After that, a software “Chrome Remote Desktop Host” around 10 MB will download and install automatically on your computer. 5) Now time to set a 6 digit PIN in Chrome Remote Desktop extension window. You have successfully completed the setup process from the computer site. Now, this is the time to view your computer screen on your Android device. 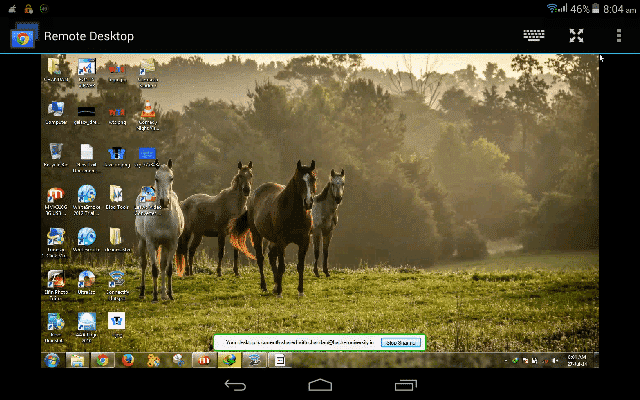 In your Android device, open Remote Desktop. Make sure that you have a network connection. If Wi-Fi/3G is available, then it would be better. It’ll show your computer name; as mine “CHANDAN-PC”. After click on that, it’ll ask for PIN which you have set on your Chrome. Just put that PIN to view the computer screen on your phone. 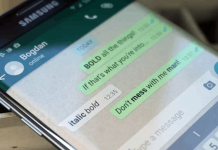 Rotating your smart phone to landscape mode provides a clearer perspective of your computer desktop, and there are a few commonly-used keyboard shortcuts built into make typing easy. This was all about how to view and control Computer from Android. I hope, this tutorial will help you to manage your PC remotely. If you like this article, then don’t forget to share with your friends.